So, we entered the week countdown before Valentines Day 2012. 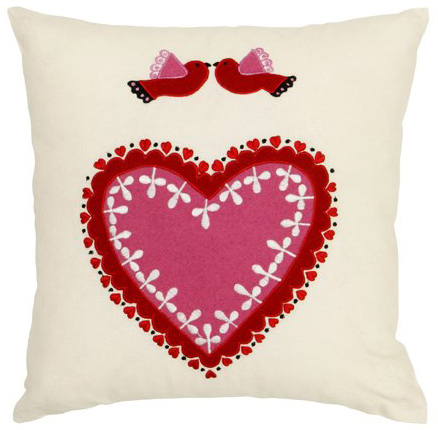 To inspire you, here is a handful of quirky gift ideas for V-Day… all featuring the traditional Valentine’s heart! Like last year, we strive to keep V-Day cheese-free…forget the tacky plastic roses, rather get your loved one of these original beauties! 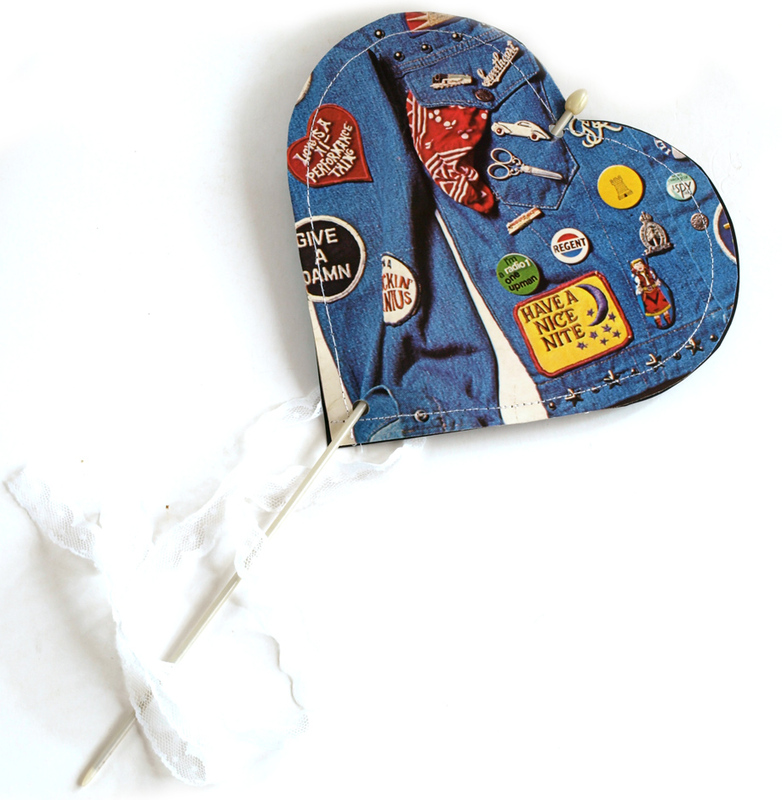 …oh, and keep your eyes peeled – there’s one or two more Valentines Day post coming your way this next week! 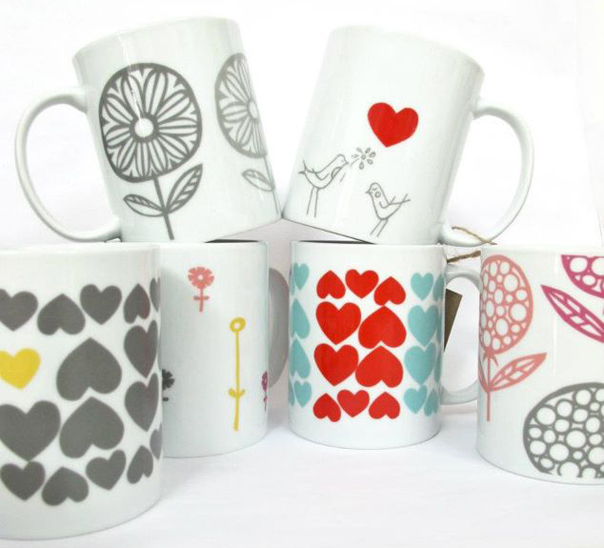 The talented Heather Moore, aka Skinny LaMinx, started making these awesome ceramic mugs with some of her designs on it. As you can see, there’s one or two Valentines Day mugs too! All available from her shop in 201 Bree Street in Cape Town. 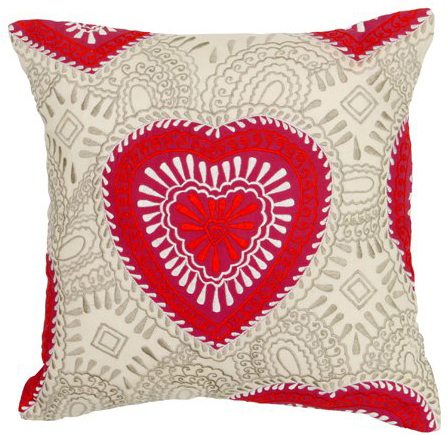 I love, love, love these beautiful embroidered scatter cushions from @Home. Released with Valentines Day in mind it’s got a lovely handmade feel to it – I especially love the intricate almost crochet-like pattern…and the cute little birdies of course. A whole heart & polka dot range from Ckramics – a variety of bowls, sugar pots, and the cutest milk jugs, but to name a few. 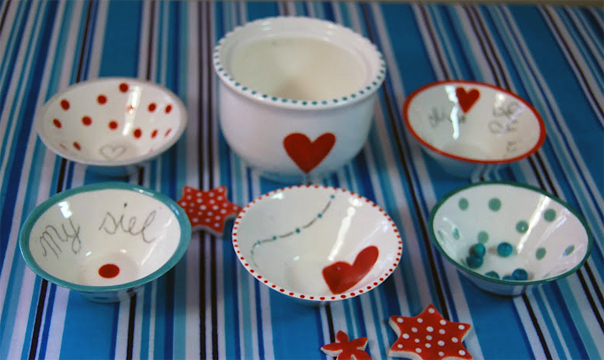 The range includes these beautiful handpainted ceramic bowls with lovely whimsy phrases, heart & dot designs. 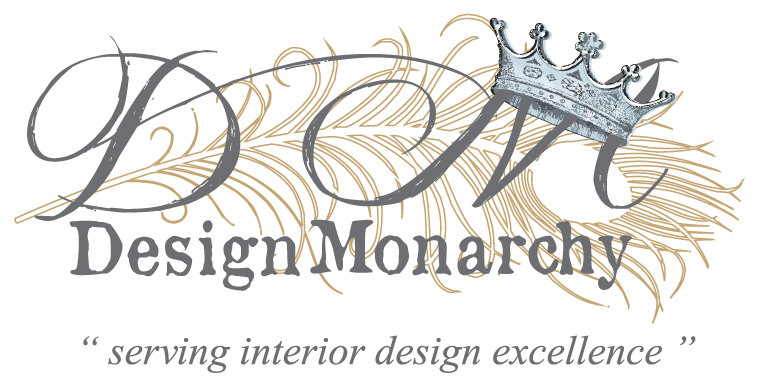 These beauties can be ordered through us. One of the best-sellers at QuirkyMe, the heart-shaped Kiaat chopping board usually FLIES off their shelves. The lace-like engraving is simply beautiful – this chopping board would look stunning if used as a serving plate – maybe with gorgeous home-made bread or dainty appetisers on it? 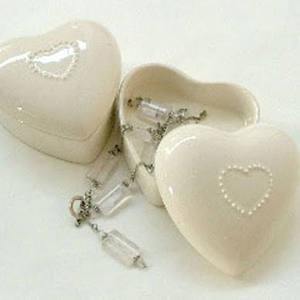 If you’re still looking for the perfect V-Day gift for the lady in your life – what about this lovely little ceramic jewellery box with heart detail from The Pause Room (and be sure to hide something special…and expensive in it)! 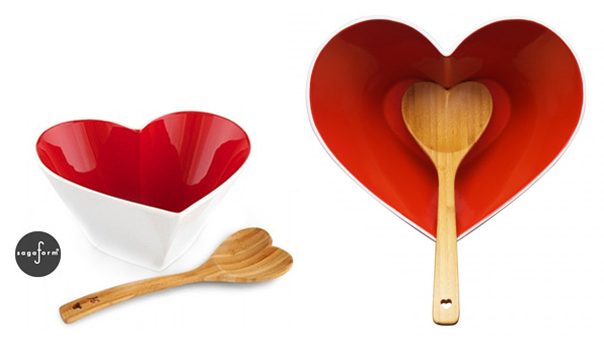 I’m in love with this funky little addition to the Sagaform product range – a heart-shaped stoneware bowl in passionate red with a matching bamboo spoon. Even the spoon’s hanging hole is a little carved heart! Luckily, YuppieChef is the local supplier for Sagaform – so South Africans can also own some lovely Sagaform awesomeness. 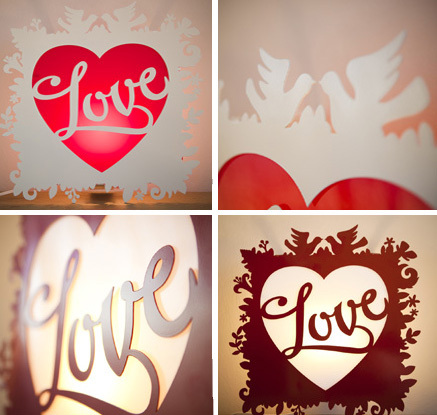 This creative light from TinTown has love written all over it…literally! Love the intricate detail and the two little kissing Lovebirds at the top! Now that would be a romantic gift! Or what about opting for one of Freshly Found‘s awesome message cards. They’re hand cut, lightly padded and stitched from various vintage record covers – awesome! A blackboard card heart is attached to the back along with a piece of chalk for your love message. The card is mounted on a vintage knitting needle – so you can pretty much stick it into anything. So clever! Images sourced via specific suppliers (see link in text).